With their sweet faces and mischievous, playful personalities, sea otters may be one of the most “kid-like” animals on the planet. 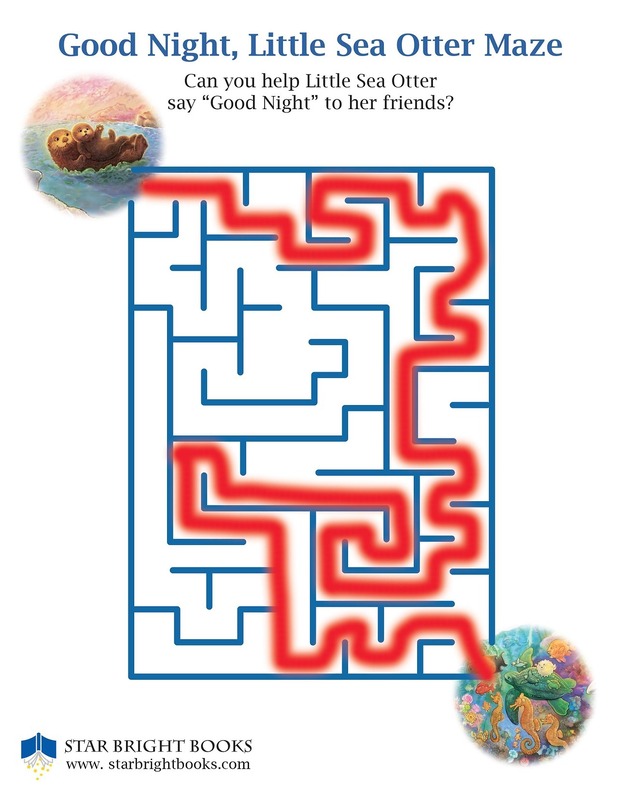 And, like children, they sure know how to have fun! Underwater, they glide, twist, twirl, and tumble with the same enthusiasm as kids on a playground, popping up to float on their backs like little ones lying on the ground to watch the clouds float by. Sea otters also seem to know all about friendship—holding hands, playing in groups, and even sharing snacks (ingeniously prepared and served on their tummies!) When it’s naptime or bedtime, little sea otters are as snuggly as kids—or are kids as snuggly as little sea otters? Either way, both love to cuddle in a warm hug and a cozy blanket as they drift off to sleep. Good Night Little Sea Otter text copyright Janet Halfmann, Illustration copyright Wish Williams. 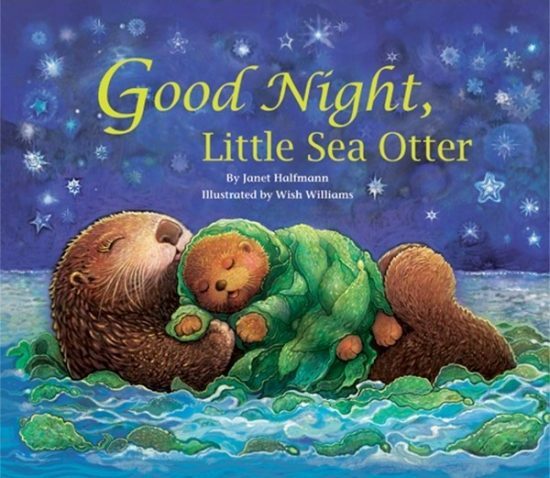 Janet Halfmann’s and Wish Williams’ adorable Good Night, Little Sea Otter delights in the lively antics of these loveable sea animals as the baby sea otter can’t go to sleep without saying “good-night” to all of her friends. 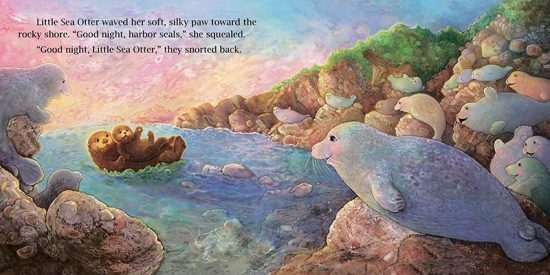 As Little Sea Otter calls out to the seals, seagulls, snails and sea slugs, the fish, crabs, sea stars and sea urchins, they in turn are excited to say “good-night” to her as well. 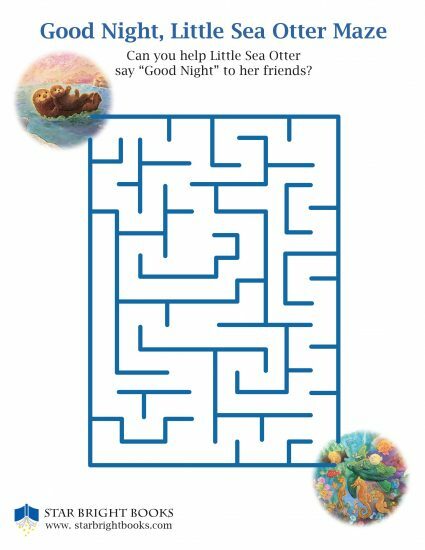 But as the gently rocking waves, twinkling stars, and Mama’s whispers quiet the baby, Little Sea Otter still feels she’s left someone out. Who can it be? Young readers will be enchanted by this charming and joyful bedtime story that reassures them that even as they are going to sleep, they have a world of friends waiting and happy to greet them in the morning. 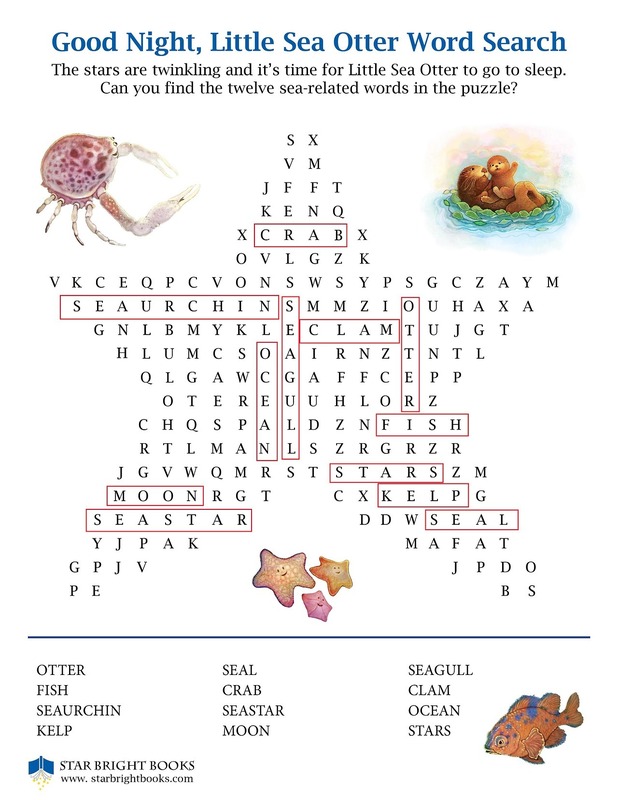 Download These Fun Good Night, Little Sea Otter Activities! This entry was posted in Board Books, Family, Uncategorized and tagged Bedtime Picture Books, Picture Books about Family, Picture Books about Sea Otters on September 28, 2017 by Star Bright Books. We invite you to explore our blog! Here you’ll find in-depth information on our books; interviews with authors, illustrators, and child development experts; engaging resources; and tips on how to have fun with reading!